Uploading satellite QSOs to LOTW might seem a little daunting, but it doesn’t have to be. Just follow the steps outlined below, and you’ll find out how easy it is. The process differs some depending on the logging program you use – but the basics are the same. Many people just use the ARRL’s TQSL software to upload their sat QSOs. 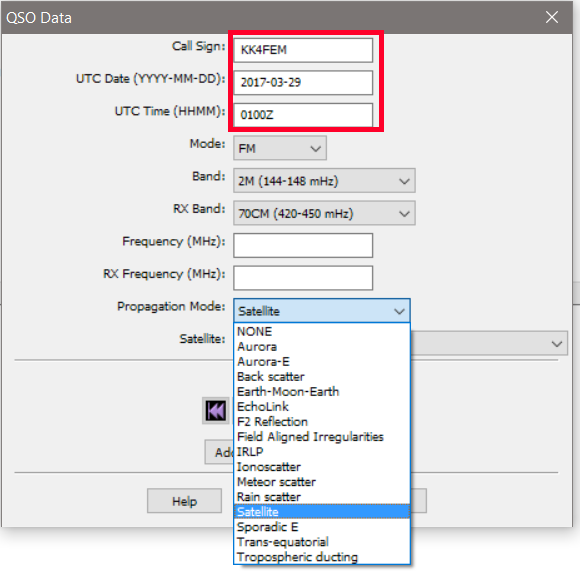 In the “QSO Data” entry window, first you put in the callsign, time, and date of the station you worked, in the format required. Next, enter the Mode, (FM, SSB, CW, etc.) that you used during the QSO. You can also enter the transmit and receive bands in this section. While these fields aren’t strictly required, it’s good practice to fill them out accurately. 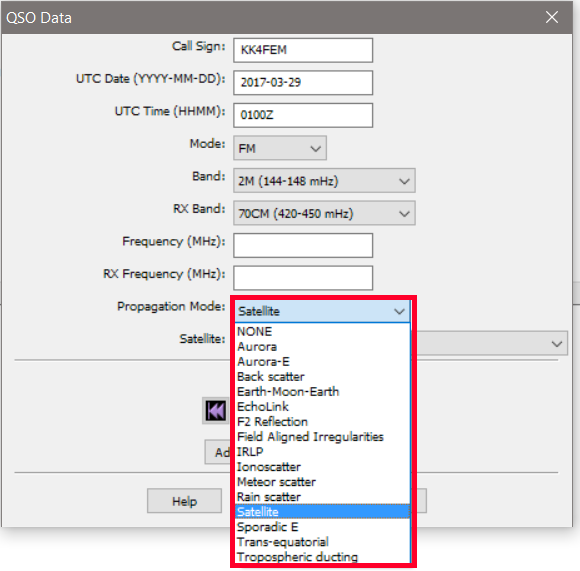 The final, and most important step is to choose the correct “Propagation Mode” – Satellite. This tells LOTW to process your QSOs as a satellite contact, rather than a normal terrestrial VHF/UHF contact. 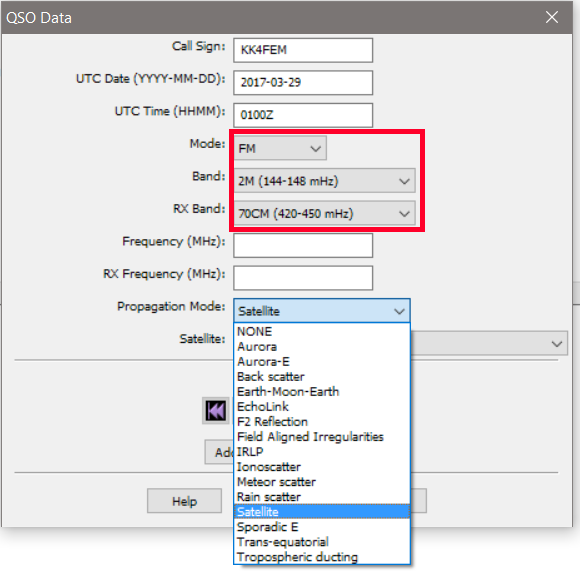 Then, select the satellite you operated over during the QSO. 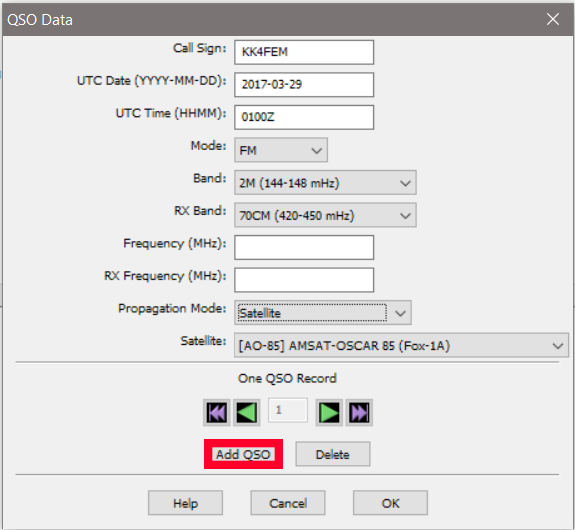 Click “Add QSO” to save the contact, and repeat the process for each QSO you have to upload. After you have entered all of your QSOs, then click “OK” to save your ADIF file for uploading. 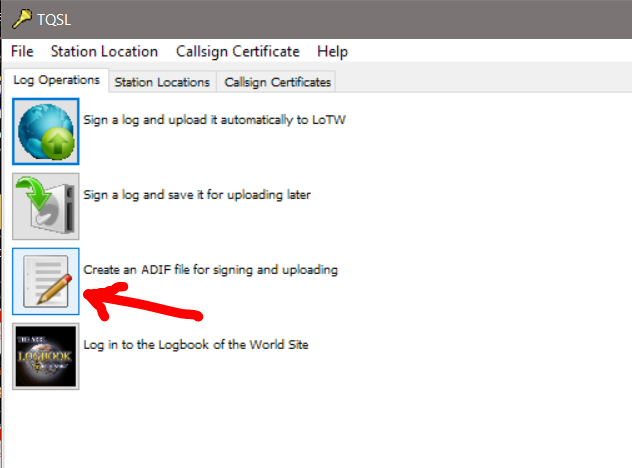 Return to the main menu in TQSL, and click the “Sign a log and upload it automatically to LOTW” button, selecting the ADIF file you just created as the log to be signed.Proceed as you normally would from there for HF contacts, and your log will be signed and submitted to the LOTW database. There are many other logging programs out there that support satellite contacts to some degree or another. Some, like DXKeeper have the correct fields built into the software already. 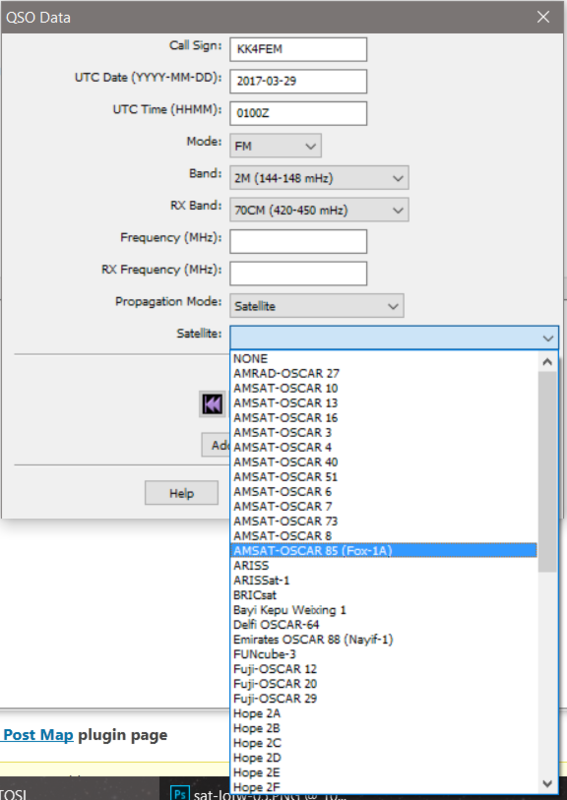 Others, like N3FJP’s ACLog, can handle satellite QSO’s as long as you add “PROP_MODE” (shich you would fill in as “SAT”) and “SAT_NAME” fields to the main entry form. Then, upload those QSOs to LOTW just like you would any other contacts, and you’ll be suprised how many confirmations you get! A very high percentage of regular satellite operators are already LOTW users, so join in! 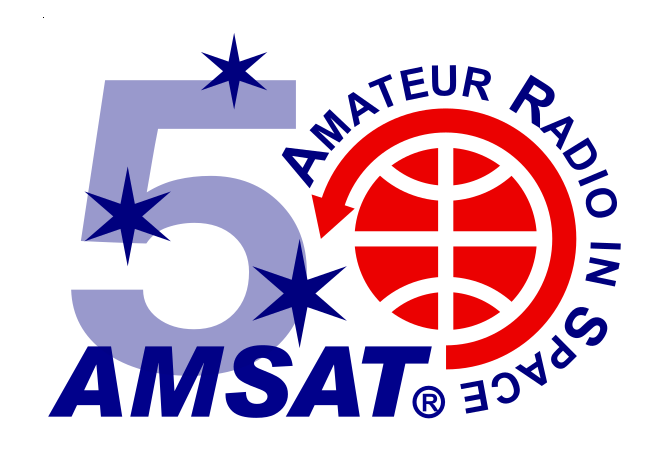 It saves a lot of time and trouble getting those paper cards exchanged and checked to qualify for ARRL Satellite VUCC and other awards.